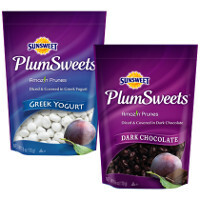 The sweet and delicious decadence of dark chocolate paired with scrumptious, bite-size pieces of Amaz!n™ Prunes. Creamy on the outside and chewy on the inside, this delicious treat is the best of both worlds. Go ahead and indulge!